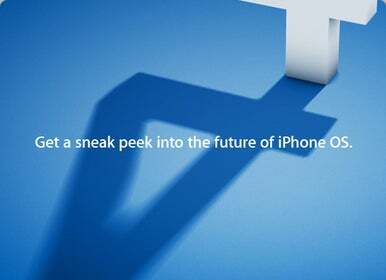 Apple announced Monday that on April 8 it will give the public a sneak peek at its iPhone 4.0 operating system. The news comes as Apple buzz is at a fevered pitch with the successful launch of its iPad tablet computer on Saturday. If you follow Apple news and rumors, you've likely heard that multitasking is finally coming to the iPhone, according to AppleInsider's anonymous sources. The interface will reportedly resemble the Expose feature in Mac OS, with all open programs revealed when the user double-clicks the iPhone's Home button. Multitasking always seems to have a place on iPhone OS wish lists, and if the rumors are true, Apple's finally found a method it's comfortable with. The rising popularity of multitask-friendly Android phones only makes this feature more likely for the iPhone OS this time around. Also according to AppleInsider's report, pre-release builds of iPhone OS 4.0 show a global inbox that merges multiple e-mail accounts into a unified view, plus the ability to add specific contact names as icons on the iPhone's home screen. There's a chance these features could be scrapped before Apple's event, but they seem like solid minor additions to pad out the big announcements. With Google adding free, turn-by-turn, voice-guided GPS navigation to its Android phones, and Nokia doing the same for several of its handsets, the pressure's on Apple to offer something similar. Apple acquired mapping company Placebase last summer, and also posted a job ad last November seeking an engineer to help overhaul the iPhone's Maps app. The stage is set for big changes to iPhone Maps, and hopefully GPS Navigation is among them. It's worth pointing out that Apple's event is aimed at the iPhone's operating system, not hardware. 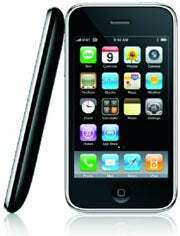 Don't expect to hear anything about Verizon iPhones or next-generation iPhones. Just as Apple announced the 3.0 OS in March 2009, and the iPhone 3GS in June, any news on the hardware front is probably a few months away. These were among the lists of gripes I compiled last year as a fairly new iPhone owner. I hate that you can't attach files within the e-mail app (you can only send them from outside apps), and the inability to create groups for contacts or text messages is a pain. And with the iPad getting its own handy rotation lock switch, it's time Apple built a solution into the iPhone OS as well. It's all wishful thinking, but these aren't impractical or controversial improvements.